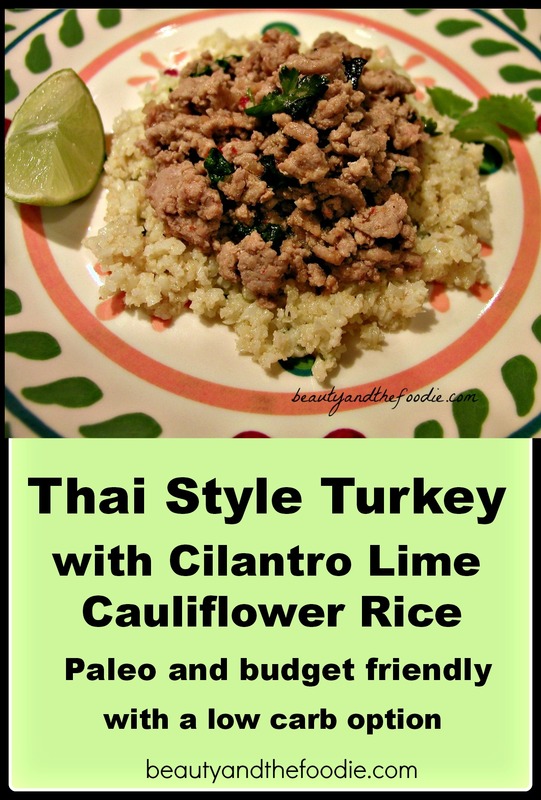 Thai Style Turkey with Lime Cilantro Faux Rice is a simple to make, budget friendly, flavorful low carb and paleo Thai inspired dish. 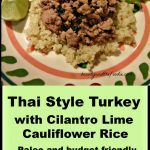 Thai Style Turkey with Cilantro Lime Cauliflower Rice is a paleo and low carb, Thai inspired treat. Sometimes I just crave Thai food. But I’m afraid if I go to a restaurant, I will go crazy and eat all the pineapple rice. This recipe really helps satisfy my ” must have Thai food” cravings. 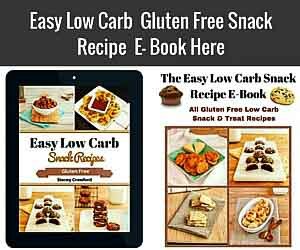 This recipe is an easy, no- brainer and very budget friendly since it uses ground turkey. It is also excellent is lettuce cups if you don’t feel up to making cauliflower rice. 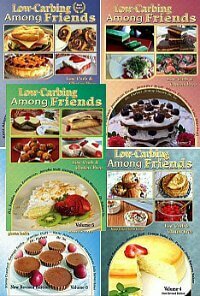 I love it with the faux rice and the lettuce cups. This my version of Larb. 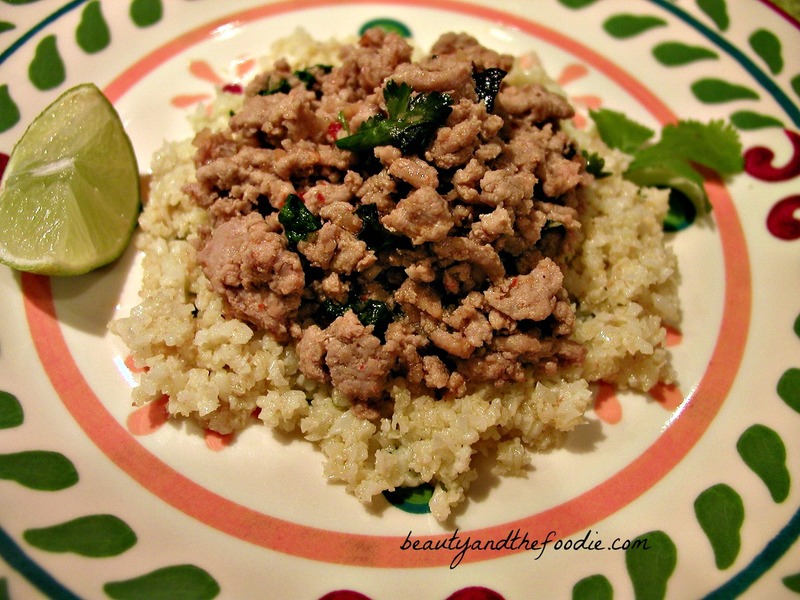 Larb is a Thai dish that most Thai restaurants will have and is made with ground turkey or pork. I like to add hot chili sauce to mine but I know that may be too spicy for some people. Sometimes I just crave Thai food. But I'm afraid if I go to a restaurant, I will go crazy and eat all the pineapple rice. This recipe really helps satisfy my " must have Thai food" cravings. 1 Medium Head of Cauliflower Chop just the flower part, not the stalks. Combine: Fish Sauce, Red pepper flakes, Coconut sugar, and 1/2 Cup water in a large frying Pan, and simmer over medium high heat. Spoon medium size clumps of raw, ground turkey meat into the fry pan. Break up meat with spoon while cooking, until meat is no longer pink. Stir and cook for a couple for minutes to reduce sauce a little. Remove from heat and Add : Lime juice, Green onion, Cilantro, Mint, and Sriracha. Stir it all together. Cover and set aside. 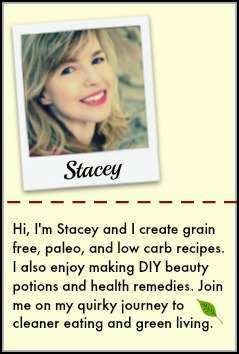 Prepare Faux Rice as directed below. Grind up Cauliflower in processor, or blender, until rice like texture is formed (can use grater as well). Put ground cauliflower in glass bowl and microwave for 5 minutes. Heat olive oil in fry pan over medium high heat, and add Cauliflower. Stir cauliflower in pan for a couple minutes. Serve Turkey meat over Faux Rice and Sprinkle Ground Cashews on top. Can make the Faux Rice in advance, for a faster prep time. in the instruction you mention add shiracha but is not in the ingredient , how much shiracha? Alejandro, It is in the ingredient list right below the ground cashews and above the lime cilantro rice: 1/4 to 1/2 tsp Sriracha to taste. This looks YUMMY! Do you mind me asking which brand of fish sauce you use? Hi Rachel, I used Thai Kitchen Premium Fish Sauce. It only has the anchovies and salt. 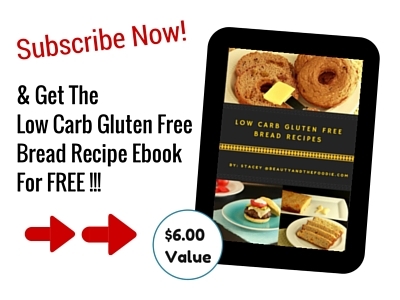 Its gluten free and soy free too. There probably is an organic brand out there, although I could not find it my area. You are most welcome, Rachel!